Art journalist Atwood outlines the systematic destruction of archaeological sites, concentrating on Peru. 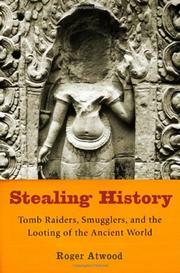 “Looting robs a country of its heritage, but, even worse, it destroys everyone’s ability to know about the past,” the author writes. “Looting obliterates the memory of the ancient world and turns its highest artistic creations into decorations, adornments on a shelf.” This is the crux of the matter, for stolen pieces must, perforce, disappear from professional and public viewing, at least temporarily. Atwood is well aware of the motives that fuel the looting of sites, from pure economic desperation to the sheer greed of professional grave-robbers who sally forth with a laundry list in hand. But what he wants to elucidate here is how the process actually works, from the first dig of the shovel to the display of the objects in some chic private environment. No one can plead ignorance anymore, he asserts, for the modern trade in illegal antiquities has been reported in the popular press for decades. What is most galling is the number of people who are in cahoots, beginning with the robbers themselves, whatever their station or circumstance, right up to the collectors, be they individuals who squirrel away their purchases in vaults, or (and this will catch a few breaths) public institutions. “In the United States today,” Atwood reminds us, “tax laws [allow] collectors to donate looted goods to museums in exchange for a deduction.” Norton Simon can boast, “Hell, yes, it was smuggled. I spent between $15 million and $16 million over the last two years on Asian art, and most of it was smuggled.” Forget about Lord Elgin for the moment; take a look at the provenance of that Peruvian textile at your local museum. No, not every museum holding is an act of pillage, but Atwood, a participant/observer of the first water, will make you wonder.